Type A: Give Away Time!!!! I just wanted to show you guys some love! Especially after all the love you've showed me. Type A just hit 250 FRIENDS!!! I have a great give away prepared for you too! You know how much I love Etsy, well, I found this great shop on there the other day. The fabulous Louise at Handmade Silhouettes is offering her Custom Family Silhouette Portrait Package to one lucky winner! It's a beautiful package. You will receive FOUR custom silhouettes. 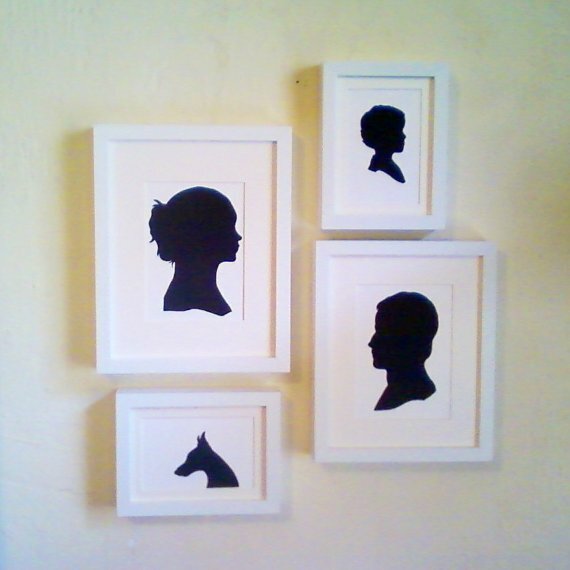 The silhouettes can be of anyone you'd like, or even a pet! You can give them as a gift or keep them for yourself, it's all yours to do with what you want! Silhouettes are all the rage now too, I'm ordering some as soon as Beefcake gets back from Afghanistan! Here is an example of her work, just gorgeous. I promise to keep the rules to a minimum, I won't need your first born for this one! Rule, Please follow Type A. 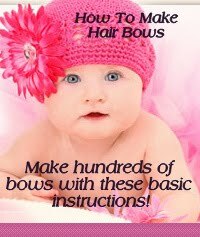 See that's pretty easy, and you get to keep your first born. There are a few ways to enter. 1. Follow, leave a comment. I will announce the winner on Sunday March 20, 2011. Please make sure I have a way to contact you, if I can't get a hold of the winner I will have to draw again. I will use Random.org to select the winner, so please make sure you leave a separate comment for each entry, Random.org won't know how to separate them if you don't. I hearted the shop! So lovely! I grabbed your giveaway button! Great giveaway!! I love silhouttes..
Great giveway! I am a happy follower! Hey...and WOW Congrats on all those followers! Another nice giveaway. You know I'm a follower. Have a wonderful day. Oh she is a fave on my ETSY! Love her work! Following! oooh! also -- I forgot to tell you! I featured you on my blog yesterday! 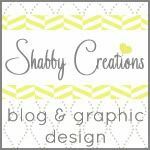 I am a new follower, and love your blog, so many fun ideas! I am having my first giveaway on my blog, please come enter! So fun Just found your blog, new follower! Would love if you'd stop by my blog too! I love those custom silhouettes. They would be a perfect wedding gift for my nephew (returning from his 3rd tour in Afghanistan TOMORROW! WOOOOT!) and his fiance. The automobile silhouettes are also adorable! I have hearted the shop on Etsy. I am a follower and would love to have some silhouettes of my cats! What a fun giveaway! I am a follower! Thanks for offering the giveaway! I also put your giveaway button on my blog. Hope I win!!! I'm your newest follower #286!